Look, I found new Essence image plates!!! Home Brands Essence Look, I found new Essence image plates!!! I just had to show you these pretties. They were mixed with the other old image plates. Essence plates for french?? WOW! Aaaaargh I want this tooo!!!!! Love so much the french plate!!!!! ooh, i have the old ones, looks like i need these too!!! 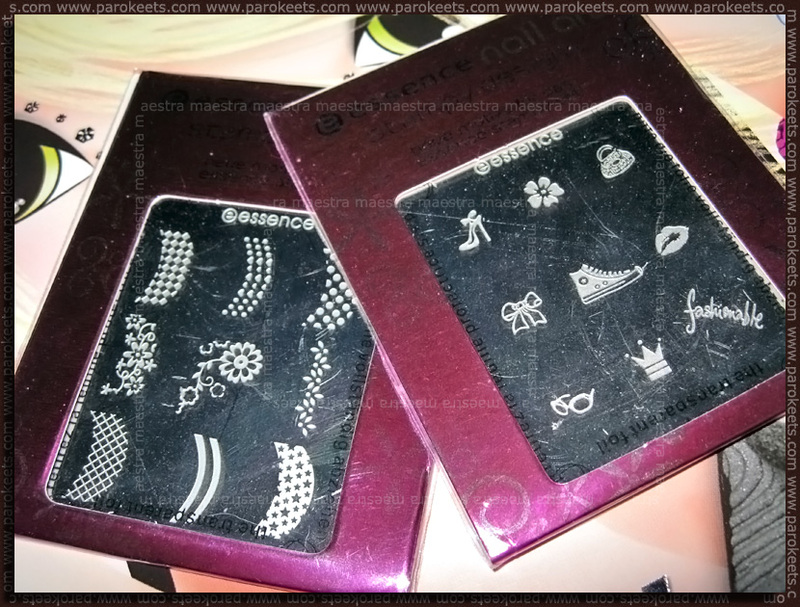 I think these are in fact old image plates from Essence, but I’ve never seen them irl (they’re on my wishlist, though). Thanks for the reply, Maestra. You’re lucky to have found these. I’ve only seen them on the Essence corporate website some time ago and on a few blogs. Eagerly waiting for your creations, then.